If the last time you looked at your mortgage was when you bought your home, it’s time for an annual once over. New loan programs and low interest rates bring lower mortgage payments and new investment opportunities for those who take the time to review. 1 - Is a 30 year mortgage still your best choice? Many of us opted for the certainty of a 30 year fixed rate mortgage. If you anticipate selling your home within the next 10 years, an ARM (adjustable rate mortgage) may be a better financial fit for you. ARMs typically have a lower fixed rate than a 30 year mortgage. The savings you receive can well be worth switching if your time in your home is limited to a shorter term. 2 - Are all those years of payments really necessary? Sometimes a mortgage seems endless. Wouldn't it be nice to make the same payment but for 5-8 years less? 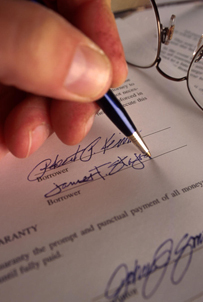 Perhaps by refinancing you can pay off your mortgage quicker with the same payment you are making right now. I have seen clients save tens of thousands just by taking the time to review their current mortgage situation and the steps to refinance to a shorter term for their debt. 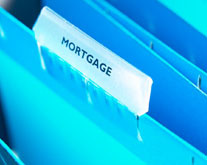 3 - Are you still paying for Private Mortgage Insurance (PMI)? If you have held your conventional mortgage two years or more, it is time to make a phone call about getting rid of the mortgage insurance. Some lenders will just drop PMI, some require an appraisal, and some situations requires an entire refinance, but it is worth the call.  If you have an FHA mortgage, MIP (aka PMI) is on the loan for ten years to life, depending on when you obtained your mortgage. Quite possibly, the only way to find out if there is a way to save is getting a refinance cost savings evaluation (You have my number). The monthly savings from abolishing mortgage insurance adds up quickly, and this money can be put to good use to help you achieve other financial goals, like a family vacation! 4 - Are your taxes and insurance up-to-date? Even though your mortgage servicer is responsible for paying your taxes and insurance out of your escrow account, you should periodically check to see that these payments are being made properly. I have had clients fined for paying their taxes late when it was the mortgage company's responsibility. Yes, that fine should be paid by them! While you’re at it, take a moment and review your homeowner’s insurance policy. It’s a good idea to review your policy every two to three years to make sure it covers recent home improvements, replacement costs for the newest contents of your home, and that its reconstruction coverage is keeping pace with inflation. 5 - Do you want an emergency fund that costs nothing? Many homeowners are making the proactive choice to secure a Home Equity Line of Credit (HELOC) for emergencies. A HELOC is a revolving line of credit that only charges interest when you actually draw money from the line of credit and it is a minimal interest rate. As you repay the balance of the draw, the credit becomes available again. Securing a HELOC in advance can be a great help if you have an unexpected emergency. Bottomline, is a debt restructure needed? 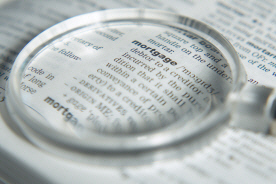 The timing may be right to REFINANCE your current mortgage. New rates and an extended (or shortened) term may significantly help lower your monthly payment or reduce the number of debt payments. You might want to “cash out” some of the equity in your home, which you can use to consolidate debt, improve your home, buy a rental property, take a vacation - whatever! Let's work together to determine if the timing is right to change your mortgage by considering your cash flow and reflecting on what effect a new mortgage might have on those future plans. The way to plan for the future is to prepare your present!